Why Take Notes on a Tablet? We know creative types love their Moleskine notepads and we do too. But tablets that can use a stylus offer much more flexibility. Handwriting recognition has come a long way since the days of the Apple Newton (an early 90s PDA with a stylus). With advanced multi-touch screen technology and faster processors, many of today’s tablets now use a pen-like device. The best tablets for note taking will let you jot down ideas, annotate documents, sketch diagrams or just doodle when you are bored. Whether you’re looking for a Windows-style hybrid, an iOS device or an Android tablet we have you covered. Join us as we take a look at the best tablets, to suit all budgets, for note-taking. Add a leather cover and it could look just like your beloved Moleskine! The late Steve Jobs, of Apple fame, was notoriously against the use of stylus pens and argued that we had the best stylus in our fingertips. Here’s a short clip of him launching the iPhone and expressing his dislike of a stylus. Nowadays, nearly every new touchscreen device launched has some sort of stylus feature. You can even use a rubber tipped pen to take advantage of the capacitive touchscreens on tablets or smartphones without stylus technology. Many of the modern note-taking apps, like OneNote, part of the MS Office suite, will help you to organize your notes. You can import notes, with the handwriting recognized and converted into text, or sketches to illustrate your documents. Tablets may never replace your beloved journals, but at least now you’ll know where all your notes are kept. You could even smarten up those notes using Word or Pages, so they are easier to read. We have looked at many of the top selling tablets you can buy, considering what features they have for note taking, and looking at what else they’re capable of. Just because their primary use will be note taking, doesn’t mean they shouldn’t offer more—they do cost considerably more than a pen and paper, after all! Here are our favorite tablets in the search for the best tablet for note taking. We couldn’t look at the best tablets without featuring an iPad—many would argue the category wouldn’t exist without Apple! The 2018, 9.7-inch iPad is the cheapest ever iPad at launch and the first to feature Apple Pencil support outside the iPad Pro range. Unfortunately, the Apple Pencil doesn’t come included with the iPad as standard, and can add nearly a hundred bucks to the price. However, the Apple Pencil is recognized by many as being the best stylus you can buy. Being an official Apple accessory, the integration of the Pencil is seamless. The preinstalled Notes app is simple to use, with plenty more creative note-taking apps available in the App Store. Many of those apps take full advantage of the HD display, with the extra pixels of the Retina screen making notes appear crisp and sharp. You are also getting a very good tablet with a fast custom processor for less lag when drawing or taking notes. Usual iPad high level of construction. Retina display with 264 pixels per inch, more pixels than the human eye can see. Crisp display for reading or writing text. Powerful custom A10 processor for speedy performance. The Pencil is well integrated into iOS. A long battery life of 10 hours for iPad, Apple Pencil 12 hours from a full charge. Fast charging for Pencil via a lightning connector, 15 minutes use from just 30 seconds charge. About 25 minutes for a full charge. The Apple Pencil is an expensive accessory. The display is not fully laminated like the iPad Pro and can be a problem for more precise drawings. Locked into the Apple eco-system and no external storage or option for expanding the memory. 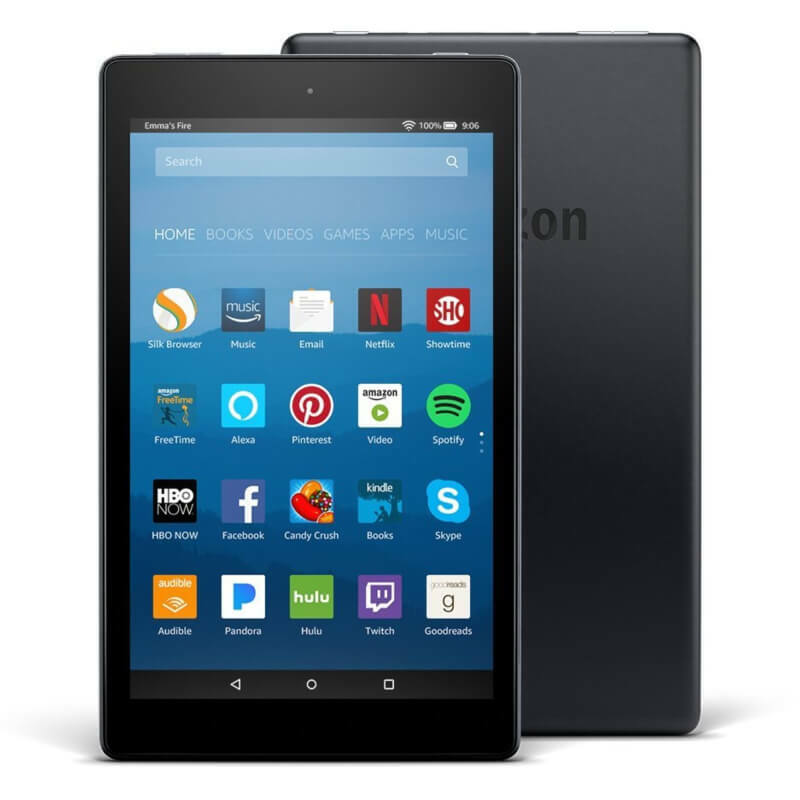 Amazon is better known for its e-reader range of tablets, but the Fire HD tablets offer so much more versatility. 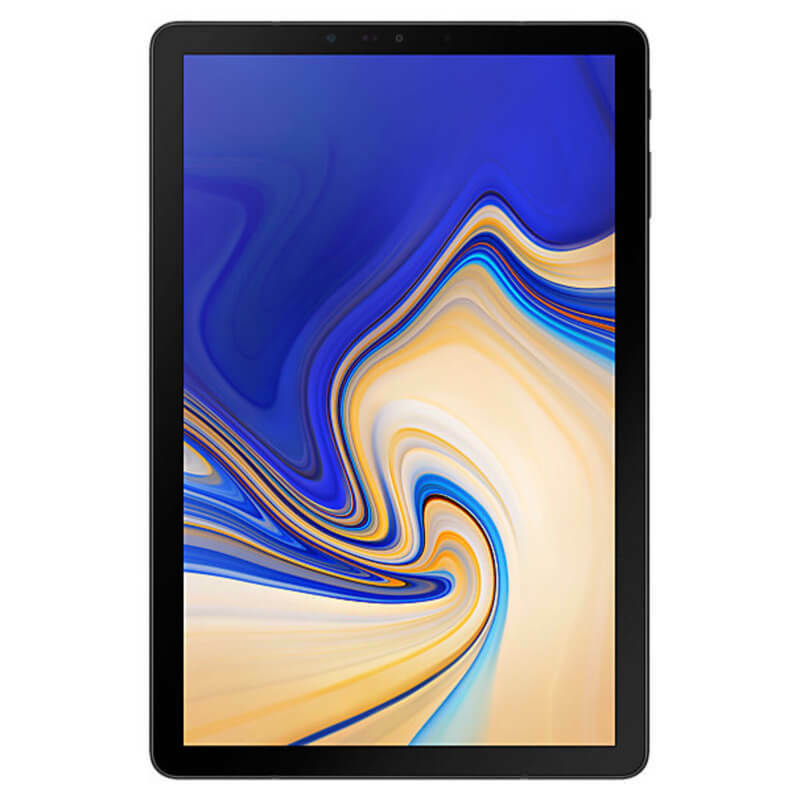 With full color, touch capacitive screens and Android compatibility, it offers a low-priced tablet that’s more than capable of taking notes. Although Amazon makes the AmazonBasics capacitive stylus, it was in no way specially designed for this device. Instead, it’s a non-electronic stylus, designed for use with any smartphone or tablet with a touchscreen. Using the Google Play store, you can install apps like Graffiti, where you draw symbols for entering text rather than use the default keyboard. Other apps, like Smart Writing Tool 7Notes Premium, allow you to scribble notes very quickly and save them as text. A clear HD screen allows for easy reading back of your notes, although the text may not be as crisp as more expensive options like the iPad. However, armed with a suitable stylus, and some Android apps, the Fire HD becomes the ultimate budget digital handwriting tablet. 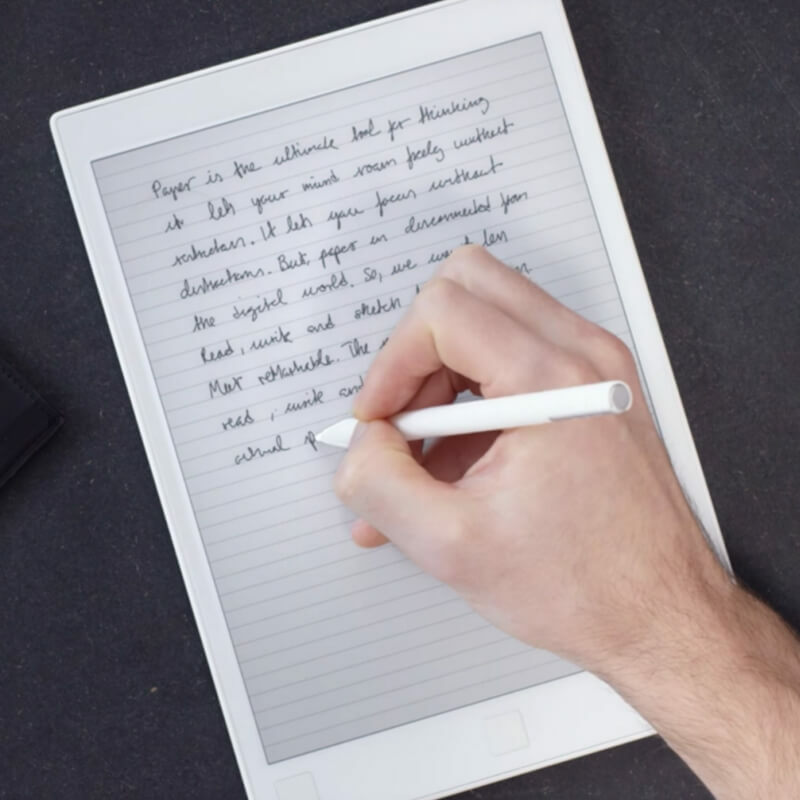 Even with a stylus, it will be cheaper than an Apple Pencil or Microsoft Surface Pen alone. A suitable stylus can be very cheap. Perfect size for holding with one hand and a stylus in the other. Fast 1.3GHz quad-core processor and 1.5GB of RAM for a powerful performance. Memory can be expanded using a MicroSD card. Includes a Notes app, and more are available. Can also record notes to the app using internal microphone. Okay for the occasional notes, but lack of speed makes it unsuitable for note taking in lectures or meetings. Not as responsive as a traditional stylus-enabled tablet and no eraser function. Apps you can install is restricted by Amazon unless you sideload the Google Play store. The Galaxy Tab S4 is Samsung’s latest Android tablet, which adds the DeX, Windows-like desktop, into the mix. With an included S-Pen, the Galaxy Tab S4 is a powerful productivity tool, ideal for taking notes and more. Samsung includes an S-Pen with the Galaxy Tab S4, which is more rounded and feels more natural to hold than many other pens. The S Pen glides smoothly across the screen and never needs charging. Best of all, it’s free, or included in the box anyhow. A Super AMOLED display makes this an ideal tablet for use outdoors, with contrast levels LCD just can’t match. Text and documents appear crisp and sharp, thanks to the 287 ppi density, which even beats the iPad Retina display. Although you can jot down notes, annotate documents or draw with the pen, it’s more essential for the DeX OS. It still needs some work and doesn’t offer as good a desktop as the Surface range, but with an attached keyboard, the S4 Tab mimics a pretty decent PC. Affordable price with S Pen included—no hidden extra costs. S Pen integration allows for taking notes, drawing and sending live messages. A keyboard can be added for typing up notes. Expandable memory via MicroSD card to 256GB. Not as locked down as Apple system, easier to load content from more places. Excellent Dolby Audio 4-speaker system for watching movies when not taking notes. Large 7,300mAH battery for longer use. Also supports fast charging. DeX interface can be clunky and tiresome to use. Android design apps can be limited. Older Snapdragon 835 chipset is not as powerful as other tablets/PC hybrids. Official keyboard cover is cramped with no touchpad. From the versatility of Android, we go to the Microsoft Surface, running the full-fat desktop version of Windows 10. You can run any Windows software, including excellent note-taking and organization programs without compromising the performance or features. 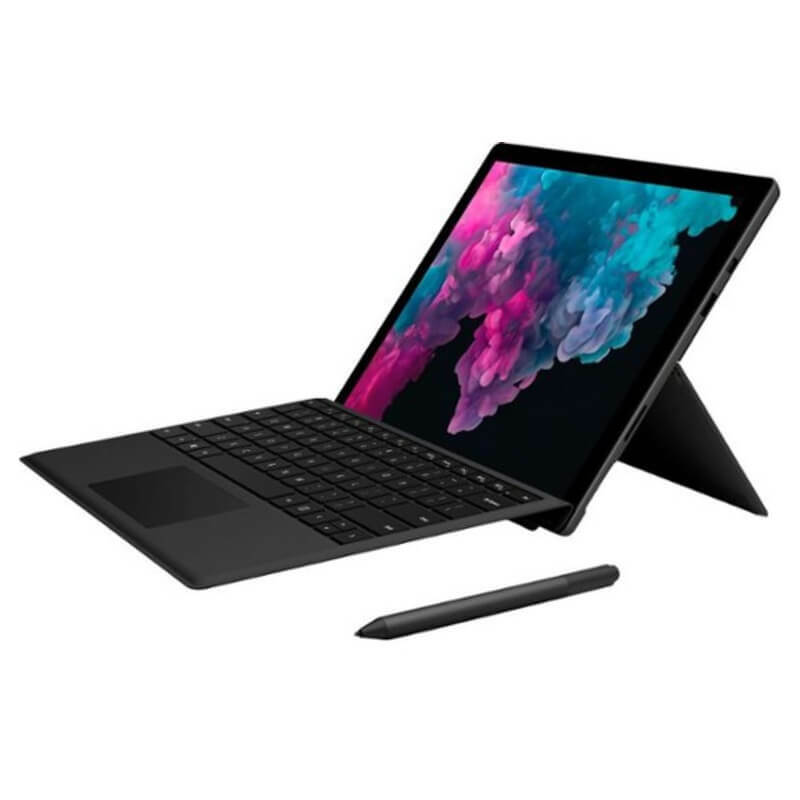 The latest 2018 version of the Surface Pro is an update to last year’s model, with an improved screen and better battery life. It features an 8th Gen Intel quad core processor and 8GB of RAM, which can zip through any processes. Although you have to buy it at an extra cost, the Surface Pen has 4096 pressure points for more sensitivity. As you move it across the high-resolution screen, it feels almost as natural as a regular ballpoint pen. A precision “ink” and eraser allow you to take notes effortlessly. Running Windows 10, any note apps, like OneNote or Evernote, seamlessly blend with Microsoft Office 365, which is pre-installed. A quality keyboard cover, again an extra purchase, turns this into a true laptop killer, more than any other tablet we have looked at. Runs a full version of Windows 10 Pro. Powerful processor, 8GB RAM and 128GB SSD for a better performance. Surface Pen is a joy to use, for writing, drawing or just doodling. Storage can be increased with MicroSD card. Plenty of professional note-taking apps available for Windows. Official keyboard cover is one of the best removable keyboards on a hybrid. Can easily connect to any Windows accessories, like hard drives, printers or scanners. Long 13.5 hours of battery life. Expensive, especially when you add the cost of the Pen and keyboard cover. No USB Type-C support is a missed opportunity. Heavier and slightly thicker than its nearest rival, the iPad Pro. The reMarkable Paper tablet isn’t a traditional productivity tablet like the others we have looked at. For many people, dragging a stylus across a glass screen isn’t close enough to a biro to ditch their notebooks yet. This tablet aims to rectify that, by using e-ink for a more natural feel. If you really can’t stand the idea of writing on a glass screen, this hybrid of an e-reader and tablet features a high friction surface, more reminiscent of paper. The e-ink display it uses features none of the glare of a tablet and is easier on your eyes. Using a stripped down Linux OS, it’s great for reading PDF or ePub files, but features no Google or iOS-like app store. It’s not a tablet for watching movies or playing games when not taking notes. An enclosed stylus works well for jotting down notes, sketching diagrams or annotating documents, with very little noticeable lag. There are no handwriting recognition features and you have to use a small on-screen keyboard to name any notes you have scrawled. It is Wi-Fi connected so you can sync with a desktop or mobile devices for importing into other apps, but doesn’t support ubiquitous files, like JPEG or DOCX. Personally, I love the idea of an e-ink sketch pad or note book—it’s the only one even comparable to my trusty Moleskine. But the lack of any extra functionality and no web browser or other apps make this an expensive luxury. The large 10.3-inch screen is spacious for reading or taking notes. Genuine paper-like experience, with an e-ink display and textured acrylic glass. No lag when writing—as fast as writing on paper with no waiting for the screen to catch up. Lightweight, with a battery life which will last for several days. Simple UI with the ability to create compartmentalized note collections. 8GB storage and a further 8GB via Google cloud are ample for your note-taking. The pen doesn’t need a battery or charging, and comes with 10 replaceable nibs. Wi-Fi connection for synchronizing with your desktop or other mobile devices. It’s a similar price to an iPad or Samsung tablet but with none of the tablet functionality. No dictionary for the e-reader. No backlight on the screen. Palm-rejection functionality means you can’t swipe to turn the page like other e-readers. No OCR or handwriting recognition on the tablet limits the productivity use. Although we are slowly moving to a paperless society, we aren’t quite there yet. A tablet is a great way of keeping your notes organized—no more tatty bits of paper with lists stuffed into pockets anymore. With a quality stylus, a tablet can emulate your favorite leather-bound notebook. If you want a truly paperlike experience, the technology is starting to come through, as seen with the reMarkable Paper Tablet. Unfortunately, this first generation style of the device has many flaws and can’t yet replace your productivity tablet or laptop. 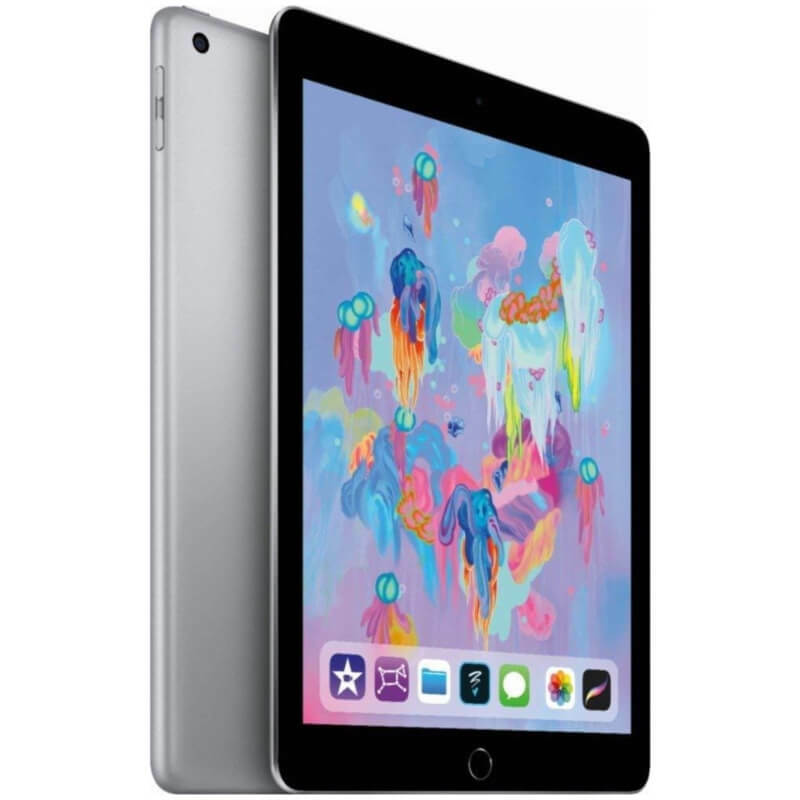 At the new low price, and with added Apple Pencil support, the Apple iPad 2018 is our choice for the best note-taking tablet. There are many iOS apps for creating and storing your notes, many of which can be synced with your usual productivity apps like Office. Who’s using a stylus now, Mr. Jobs?